Each December, country music legend Charlie Daniels hosts a fundraising event to benefit the Angelus charity, a group home and activity center for severely handicapped people in the Tampa Bay community. Now in it’s 25th year, this multi-day event, based at the Seminole Hard Rock Hotel & Casino Tampa, includes a host of concerts, parties, a golf tournament and several other events, slated for December 3rd – 5th. 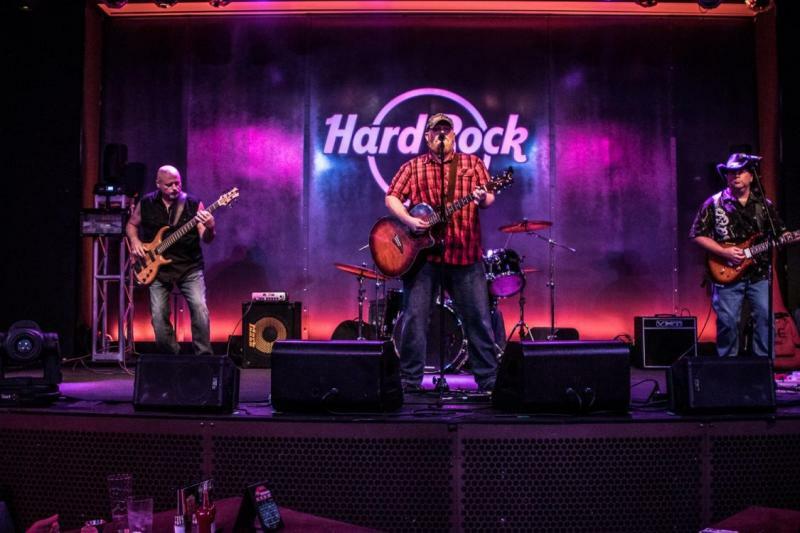 In their continuing effort to support the development of local musicians in the Tampa Bay area, the Hard Rock Cafe Tampa is giving local country and southern rock bands the opportunity to perform for the charity during this high profile event. Although the event has been hosted at the casino for over ten years, this is the first year local upcoming musicians have the opportunity to participate. “We wanted to go a step further this year to get the local community more involved and find local musicians who are willing to donate their time to support the event” said Vicki Kuracka, Director of Special Events, Promotions & Entertainment at the casino. Recently, more than fifteen local bands participated in closed auditions, held over two days at the Hard Rock Cafe Tampa, for one of the coveted spots on the weekend concert calendar. The local artists selected from the auditions will receive a Luna Guitar, Hard Rock merchandise, increased exposure and two tickets to the Charlie Daniels concert at the Dallas Bull from the casino. Let’s check in with a few of the artists who auditioned. 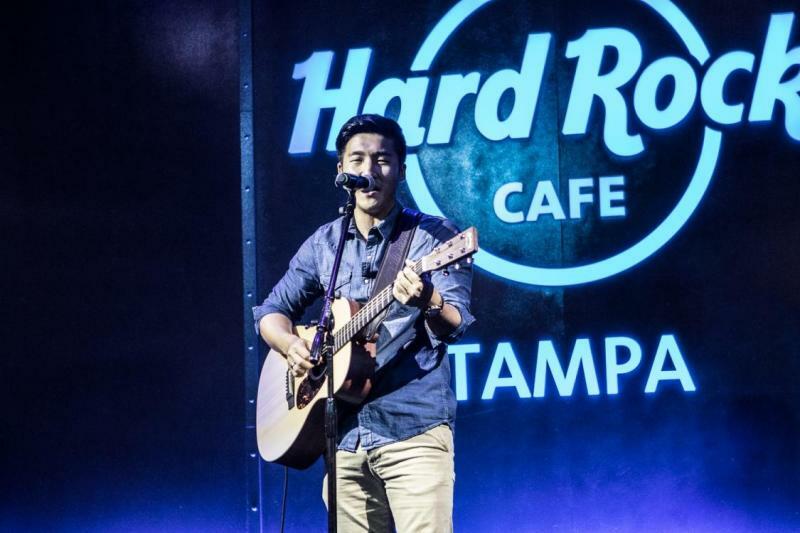 Ingyou Kim was thrilled to return to the Hard Rock Cafe Tampa stage after participating in the Tampa Bay Acoustic Music Festival (TBAMF) this past June. 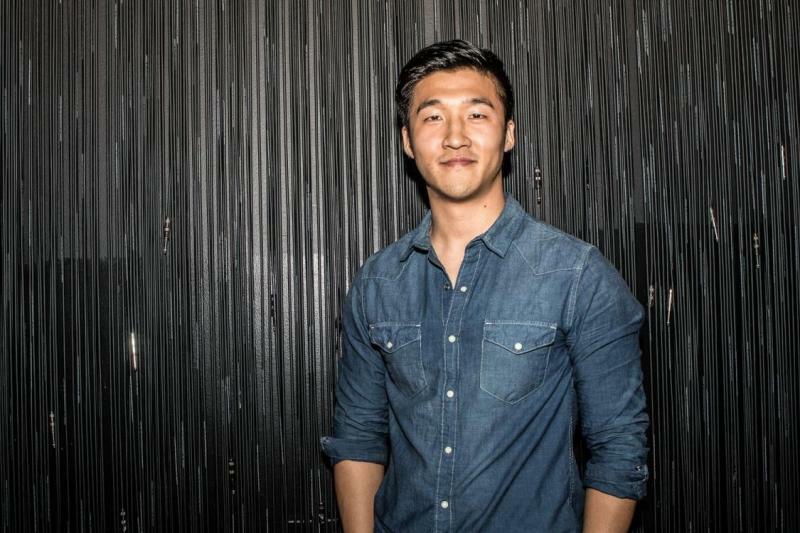 A recent graduate from the University of South Florida, Kim has been playing music since he was five years old but credits the TBAMF for the inspiration to take his music career to the next level. “The TBAMF is where it really started, that’s when I knew I can do this” said Kim. 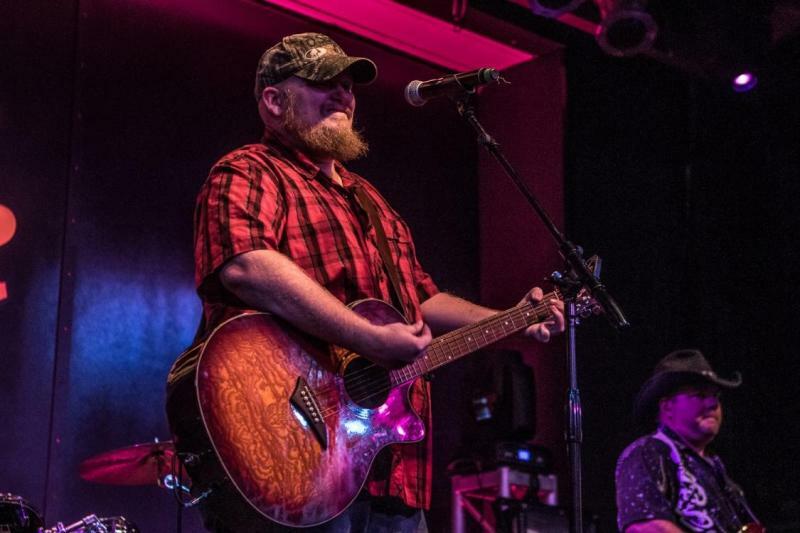 While Kim plays music from a variety of genres, he has an appreciation for country music and always includes a few country songs in his set wherever he plays. He is especially interested in supporting the Angelus because he believes “music changes people, it changes their mood and brings people together” said Kim. Kim performed “Crash my Party” by Luke Bryan and was chosen to perform during the event! Catch him on Thursday, December 3rd from 1:30 – 2:45 on the Angelus stage. 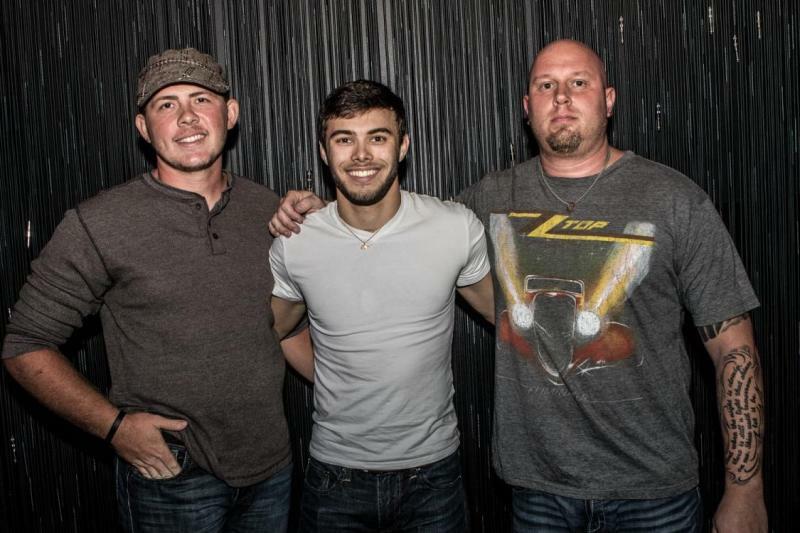 The Matt Billor Band made their debut on the Hard Rock Tampa stage with “Night Train” by Jason Aldean. 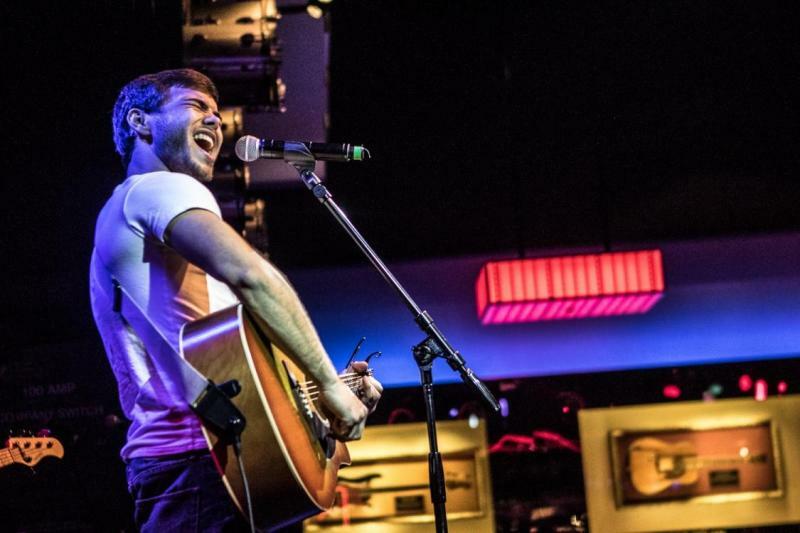 Eighteen-year-old frontman Matt Billor has been singing since he was five but got serious about music after taking a guitar class during his freshman year of high school. “I picked up the guitar and it just felt right so I ran with it” said Billor. 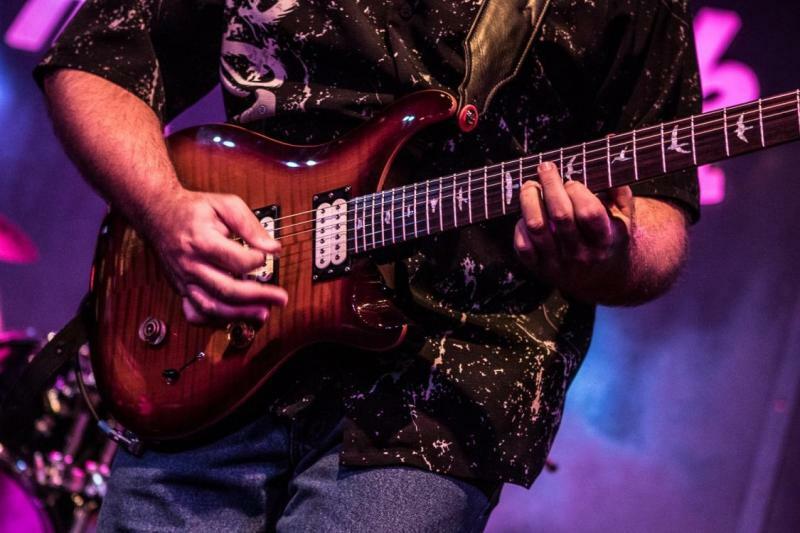 Composed of Matt Billor, Mike Williams and Nathan Cox, the Matt Billor Band has been performing publicly around the Tampa Bay area for the past year and a half. They perform all sorts of music but “country music is the genre that relates to me and we’ve all had a history with country music” said Billor. The band just finished recording their original song “I’m Almost Home” and hopes to release an EP sometime next year. Their performance wowed the judges and they were picked to perform twice during the event! Catch them at the Pairing Party in the Hard Rock Cafe Tampa on December 3rd from 7:35-8:05pm and on the Angelus stage on Friday, December 4th from 1:30 – 2:45. The Blackwater Jack Band, headed by Sammy Davis, Jr., was thrilled to make their debut on the Hard Rock Cafe Tampa stage. They play country, southern rock and classic rock all over the Tampa Bay area but their primary focus is country music, “that’s my love of music” said Davis. They play mostly covers but are working on a new album which they expect to release sometime next year. Davis has attended several Angelus concerts in the past and was attracted to the competition because “I think it’s a great thing he (Charlie Daniels) does, the collaboration of all the artists coming together is a great experience and it would mean a lot to get out there and perform in front of a bigger country crowd”. Blackwater Jack performed their original song “Bedroom Rodeo”. Unfortunately, they were not chosen to perform during the event but if you love country music, this is a band you don’t want to miss. Stay up to date with Blackwater Jack and check out their performance schedule here. Don’t miss your chance to see the other musicians chosen to participate in the weekend’s activities including Kenzie, Robert Bellucci, Christie Setteducate, Skyler Clark and Adam Wood, on December 3-5th at the Seminole Hard Rock Hotel & Casino Tampa.